This episode of Data Stories is sponsored by Tableau. You can download a free trial at http://tableau.com/datastories. 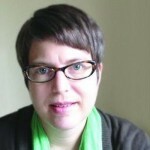 Hey yo, we have Jen Christiansen from Scientific American with us in DS#52. Jen is art director of information graphics at Scientific American magazine where she is been for about then years and she has a background in natural science illustration from the University of California, Santa Cruz. Science communication is one of our favorite topics and we are so happy to have such an amazing expert like Jen on the show. Jen reveals the nitty gritty of scientific visualization and illustration as experienced by one of the top scientific communication magazines in the world. We discuss this and many other questions with Jen. Enjoy the show!